Native Hope is taking a group of Native American students on an unbelievable opportunity. They have been invited to perform at the Super Bowl LIVE Fan Festival in Minneapolis, Minnesota, during the week of one of the biggest sporting events in the nation: Super Bowl LII! 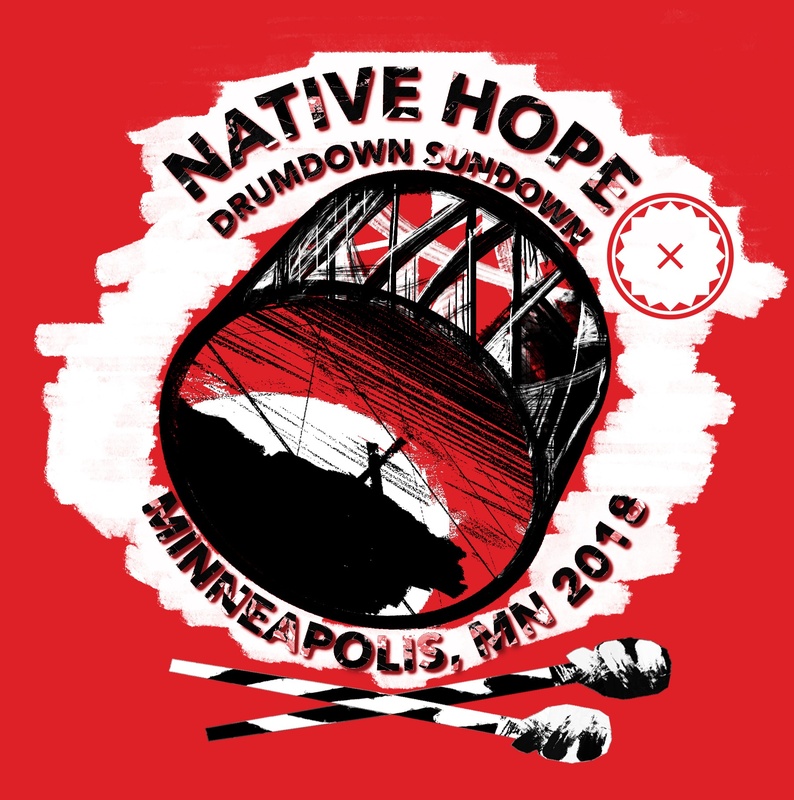 On Sunday, January 28, Native Hope will be sending fourteen of our representatives—nine students, three chaperones, and two staff members—to Minneapolis, Minnesota, to participate in Drum Down Sundown. Part of Super Bowl 2018's exciting week-long festivities, Drum Down Sundown celebrates Native American culture by showcasing members from area Indigenous tribes as they open evening ceremonies each night with drumming and dancing to honor the sunset. This will be an amazing experience for our students! They will get to share their beautiful and graceful culture with football fans from across the nation, highlighting and displaying the traditions of our people in their regalia. 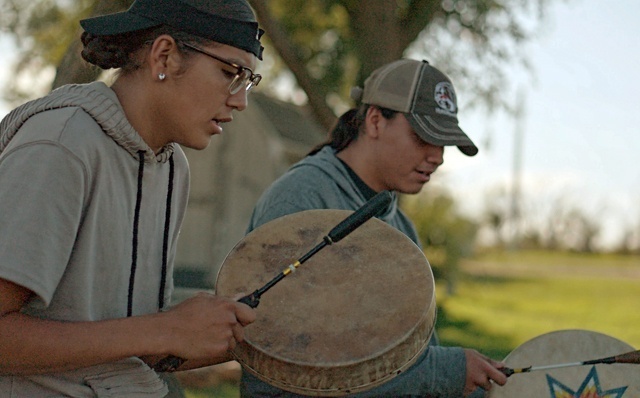 Native youth living on the reservations of South Dakota often don’t stray far from home, let alone travel out-of-state. Going to Minnesota and taking part in the pre-Super Bowl activities will make the trip that more memorable. Kansas Middletent, a Native Hope ambassador, shares, "I am proud that our Leaders' Society is attending this once-in-a-lifetime event and honored they get to perform and share their culture the way they represent it and live it. The Super Bowl LIVE Event is such a great opportunity for our youth for a handful of reasons, but the biggest reason, I think, is to show that our culture, our people, and our nations are still here. We are proud representatives of the Indigenous community. 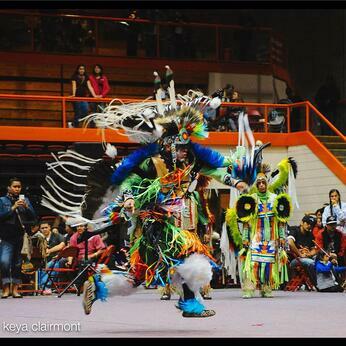 This opportunity allows us to embrace our cultural identity and to own who we are." The Drum Down Sundown at the Super Bowl LIVE presented by Verizon is the first event of its kind on a national stage in any professional sporting event. Each organization or group will perform for 30 minutes on their respective day, but Native Hope members will be performing two nights of the event. The performance will take place in the evenings for cultural significance and structure to honor the day the Creator has given. The singers will use their voices to send up prayers of strength, and the dancers will provide movement for all living things in creation while using the drum to connect us and our hearts together as one beat in unity, peace, and harmony. Our Leaders' Society coordinator, Kyal Middletent, states, "I'm excited and honored that our Leaders' Society was selected to attend and perform at such a great venue to show off the beauty of our culture but also show their talents. The Super Bowl event is great for our kids to break out of their social shell and build more confidence within themselves. I also believe it will allow them to see different parts of the country and soak up what this life has to offer. The kids are all excited and happy not only to perform but to travel and see what the city is like." On the other side of this rare opportunity, however, there is also a dark side to activities such as this: human trafficking. That is why Native Hope team members will also be hitting the streets of downtown Minneapolis using our voices to raise awareness about human trafficking. 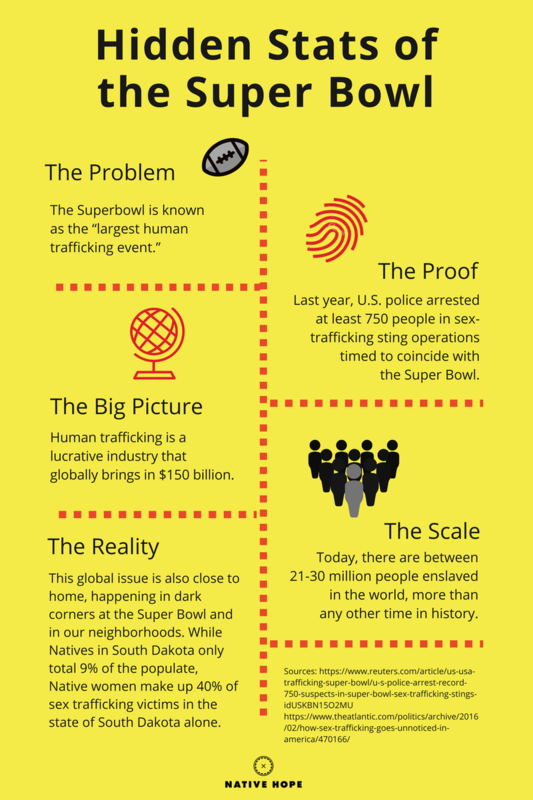 We want to start the conversation to prevent trafficking and to END IT. When we are not performing, the Native Hope team will be taking the opportunity to walk around the surrounding areas, hanging up awareness signs, and starting the conversation with anyone willing to listen to us. We would be honored for you to join us in this endeavor to provide these youth with an extraordinary experience of cultural pride during such a high profile event! We are hoping to raise $3,330, which will cover the cost of lodging, meals, and the gas to drive 800 miles. Your gift of any amount will help make this unforgettable trip possible for 14 staff and youth.